Bryan and College Station residents can dial 2-1-1 to sign up to have the meals delivered to their home. The deadline to register through 2-1-1 Texas is Tuesday, Nov. 20, at 5:00 pm. BRYAN, TX (Nov. 9) — Epicures Catering, Chartwells and 2-1-1 Texas are teaming up to deliver free, hot Thanksgiving meals to those in need on Thanksgiving Day, Nov. 22. The Thanksgiving meals will be delivered to the resident's home starting around 11:00 am and the deliveries will continue through the afternoon. Residents will need to be home to receive the meals. 2-1-1 Texas is a free and confidential resource for anyone who needs help and does not know where to turn. Callers across Texas can dial 2-1-1 and connect with a trained specialist 24 hours a day, seven days a week. 2-1-1 Specialists have access to the most comprehensive database of community-based organizations, government agencies, and nonprofits that exists in Texas. Information is available in more than 90 languages, including services for the hearing impaired. 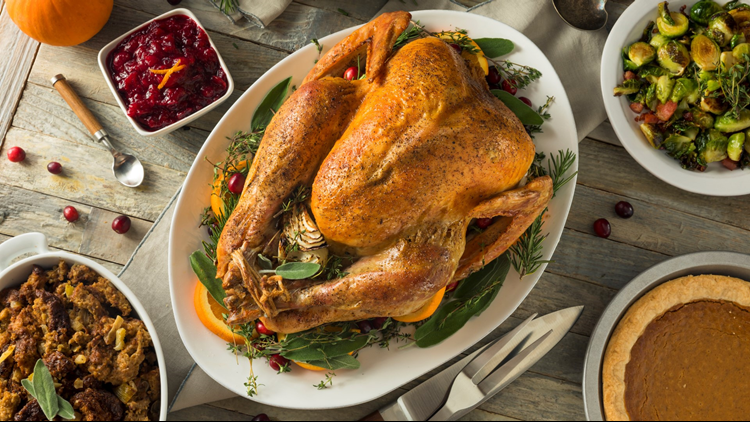 Epicures Catering is also looking for volunteers to help deliver the meals on Thanksgiving Day, Nov. 22. If you would like to volunteer, please contact Epicures Catering at 979-695-0985. 2-1-1 Texas is a partnership between United Way of the Brazos Valley and the Texas Health and Human Services Commission.